Ever just not feel motivated? I don’t mean depressed/lazy, just….not motivated. That’s how the last few months have been. It’s not that I haven’t been cooking (which you can see on my Instagam page), I just haven’t felt like I’ve had anything to say lately. I think it’s because I started a FODMAP elimination diet just after my birthday in mid March, so I was super restricted for months as to what I could eat. It wasn’t nearly as bad as I expected (except the no wheat part…god, I missed bread and pasta! ), but I just never had the right mindset to create or write about anything new. Except this tuna salad. This was ridiculously good, and may or may not now be the only way I will be making tuna for a long while! Brief side note before I go back to the amazing deliciousness that is the tuna recipe: for those who don’t know what FODMAPs are, the name stands for Fermentable Oligosaccharides, Disaccharides, Monosaccharides, and Polyols (FODMAPS is just so much easier), and is a group of short-chain carbohydrates and sugar alcohols that can cause problems for people with digestive issues. 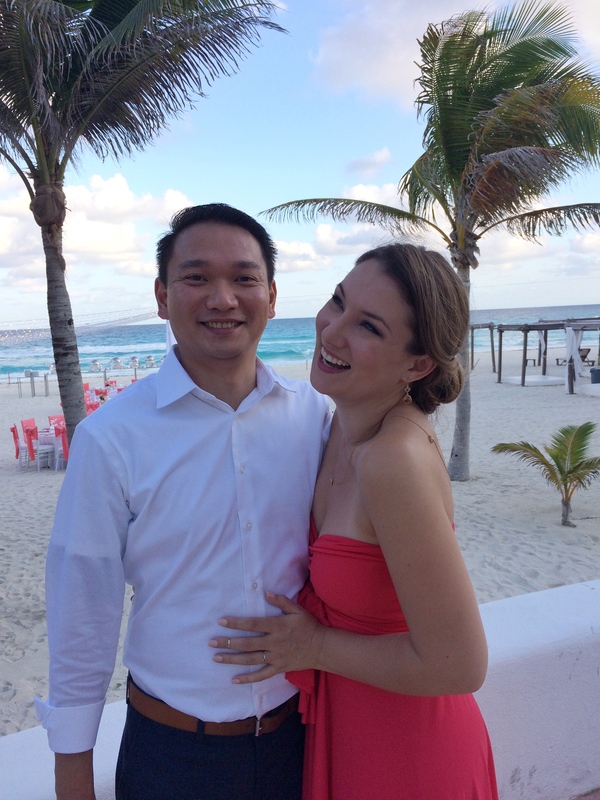 The very short version of this is that I went to see a nutritionist to figure out a plan, spent 6+ weeks avoiding all the trigger foods (things like wheat, garlic & onions, avocados, lots of stone fruits, legumes, and so many more), then started reintroducing food one category at a time. I’ve just started week 6 of the reintro phase, and so far all is good! Tonight, I get to eat all of 1/4 cup of sweet potato…woohoo! There’s so much information available about this online, and for anyone who’s like me and has food sensitivities but isn’t sure exactly what they are, or who already does know but is trying to manage their issues, it’s a great method of either determining or avoiding those food triggers that can make life so painfully miserable. Anyway, back to the tasty side of things. I’ve never been a seafood person, which is weird, considering I grew up on an island in Maine. I didn’t (and still don’t) like that ‘fishy’ taste. I’ve come to love scallops, I have loved crab cakes for a while, I like tuna, and I don’t mind the bites I take of the bf’s white fish dishes. I’m not even a big lobster fan. So while I feel like it’s sacrilegious to put ‘seafood’ and ‘tuna salad’ in the same sentence, it was always the closest I came to it. A fact that the bf now finds hilarious, because he considers canned tuna to be much fishier than most real fish. I don’t agree with him on that one at all, things like mackerel and even salmon are much fishier to me. 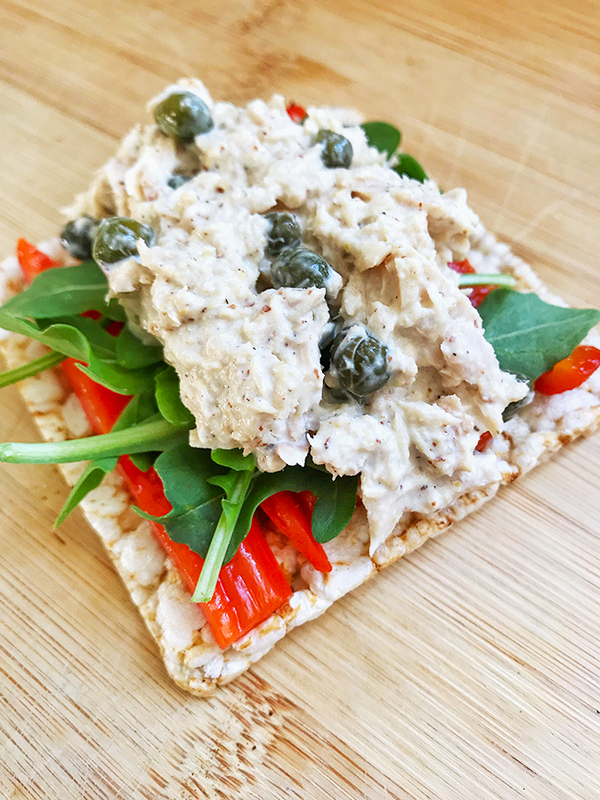 But either way, I have always enjoyed a good tuna salad, and this one is fantastic. Fresh, bright, a little bit salty, oh so good! I love this on rice cakes with roasted red pepper and arugula, but it's fantastic just straight up with a fork. Step 1 Mix everything together, adding all mayo, mustard, etc, a bit at a time to taste. It’s Sunday morning, which means what I really want to do is make pancakes. I grew up making the classic ‘Joy of Cooking‘ recipe, which will always be one of my favorites. They’re delicious, fluffy, and have never failed me. Then a few years ago, when I started having all these food issues and suddenly couldn’t eat eggs much anymore, I started looking for egg-free pancakes. I found this recipe from foodhero.org after a prolonged Pinterest binge, and if anything they’re even fluffier than ‘Joy of Cooking’ ones. Both recipes are perfect smothered in butter and drenched (or dipped, if you’re more like me) in maple syrup. And I do mean maple syrup, there is no substitute for the real thing here. Obviously, I definitely shouldn’t be eating a stack of pancakes every weekend, as enjoyable as that would be. I also can occasionally eat eggs, so for those days when I can’t resist the pancake craving but want to feel a little healthier about it, this recipe is a great go-to. Like any weekday morning, because they’re also super quick to make. And I can top them with all the fresh fruit I want, if I want to feel just a little better about my (far too frequent) gluttony. These pancakes are gluten free, sugar free, dairy free, low carb, and high protein. I’m not really one to follow any particular diet, although I do need to be better about paying attention to what I eat (I mean, don’t we all? ), so it does help me feel less guilty about my occasional pancake indulgences to know that these are a healthier alternative that still taste great and can be topped with whatever I’d like. And now I’m going to end this post on the very short side, so I can go enjoy my sunny Sunday before the next snow storm we’re supposed to get this week! Top them with butter, maple syrup, fruit, lemon and sugar, berries, or anything else you want. So simple, so delicious, and (almost) guilt free. Step 1 Combine all ingredients in a blender (I use an immersion/hand blender), and combine thoroughly. Step 2 Add the oil to a large frying pan over medium-high heat. Once the oil is shimmering (I test it with a drop of the batter or a sprinkle of water), add the pancake mix, making roughly 3-4 pancakes at a time. I find that 2-3 inches diameter is the easiest size to handle with these. Step 3 Flip the pancakes once the centers start bubbling and the edges are starting to crisp. Step 4 Stack them up, top them with butter/syrup/berries/etc. *Ingredient quality matters! Just like I always use real maple syrup, I never buy imitation vanilla extract but always the real thing. It’s more expensive, and really good vanilla is even more expensive, but it’s so worth it for better flavor. If it’s possible to buy delicious products that also give back, count me in. I really like Madécasse Vanilla Extract, which is a direct trade company started by two former Peace Corps volunteers in Madegascar, who continue to provide help to the small communities they’ve become involved with through this process. Is everyone else as confused by the weather lately as I am? The last two days, Boston reached about 70. In February. And now today we’re only maybe hitting 40, and there’s light snow-ish-ness. I’m definitely not complaining about the mini heat wave, but it’s weird to have such crazy fluctuations. The grey weather, though, makes me happy to stay inside all day (since it’s my day off today, anyway), not actually get out of sweatpants, and instead slowly cook my way through a few projects for the day. While listening to Otis Redding, because honestly that just makes any day better. I spent the morning reading, made a individual portion dutch baby smothered in fruit, a bit of lemon juice, and some maple syrup for breakfast, and then made Gimme Some Oven’s Homemade Red Enchilada Sauce in preparation for making this stuffed pepper recipe to share with you all. I was totally planning on just buying it, but a: the grocery store was out yesterday when I stopped in for it, and b: this way I could leave out the garlic that I oh so sadly can’t eat anymore (if you do make her recipe, and unlike me actually can eat garlic, please please do add it!). Win-win in the end, I think. Anyway, this is one of my go to recipes any time of year. Cozy enough for winter, but still light enough for summer. And somehow, I never posted this last summer, when I was making it allll the time. Especially later in the summer, when our poblano plants went crazy and we had so many amazing, crisp poblano peppers that held up so well to being baked. They stay crunchier than bell peppers, and have such a great delicate flavor to them that goes so well with the filling. They are more difficult to stuff, just because of the shape of them, and harder to top with melt cheese, but if you treat them sort of like enchiladas and just smother the whole pan of peppers, it works out juuust fine! I don’t know if I’ve ever made exactly the same version of these more than once. The basic ingredients are always more or less the same: ground turkey, black beans, corn, either jalapeño or chopped green chiles (Hatch, from the can, because they’re tasty and so easy and I’m lazy), sometimes either chopped tomatillos or tomatoes, spices, and a bit of liquid of some sort. I love them with enchilada sauce, but they’re also great with just lime juice and maybe a bit of chicken stock. I always use chili powder, lots of cumin, oregano, maybe a bit of dried coriander, and salt and pepper. Obviously more or less of the spices, depending on whether or not I’m using enchilada sauce as well. But I taste a million times, to make sure I’m satisfied. Isn’t that the key anyway, and honestly one of the best parts of being the one cooking? Sometimes I seriously wonder how anything actually makes it to plates, considering how many times I ‘check’ on it. 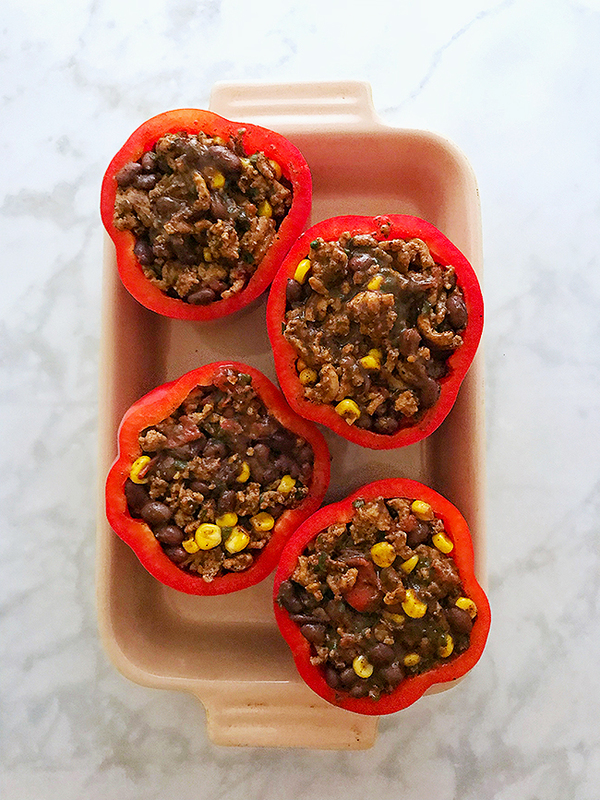 Trust me, this filling alone is so tasty you won’t want to wait for the bell peppers to cook! 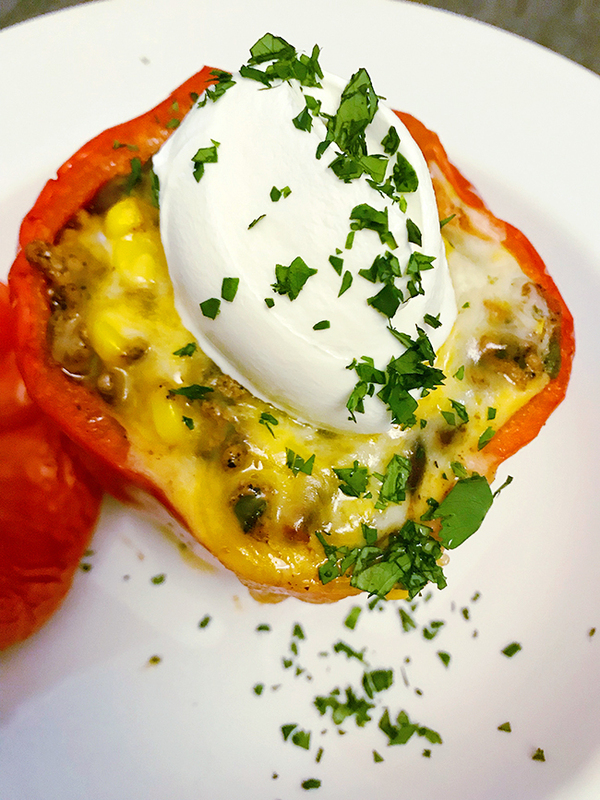 Flavorful, filling, and endlessly changeable, these stuffed peppers are perfect any night of the week. Step 1 If making your own sauce, do that first! I love the recipe from Gimme Some Oven, and it can be changed to suit your tastes. Step 2 Heat the oil over medium-high heat in a large skillet. Add the turkey, cook until brown, then season with salt and pepper. Step 3 Add the jalapeño, and sauté for 2 minutes until soft. Step 4 Add the corn, tomatoes, and black beans, stir until combined. Step 5 Pour in the enchilada sauce and mix through, then add the cilantro and lime juice. Taste, and add salt and pepper or other spices if necessary. Step 6 Place the bell pepper in a baking dish so that they sit upright, and stuff thoroughly with the turkey mixture. Top with the shredded cheese (roughly 1T on each pepper), replace the tops, and place in the oven. Step 7 Bake at 350 for 35-40 minutes, until the peppers are cooked through and the cheese is melted. Step 8 Remove from the oven, try to wait until they’re cool enough not to burn your mouth when you take a bite, and top with sour cream and more cilantro. Don’t you love when something just works? You try something new with no real expectations, and you end up with something fantastic? 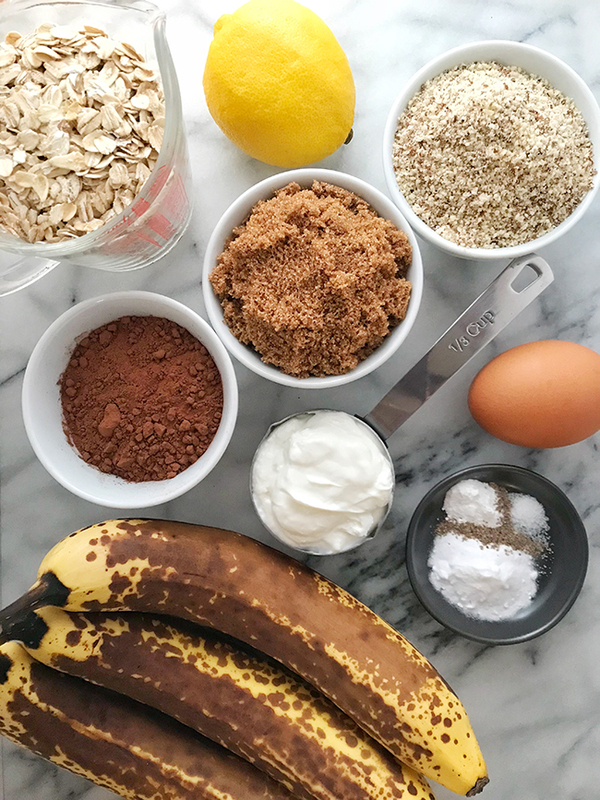 That’s what these chocolate oat banana muffins were for me. I needed to use up the leftover bananas and wanted to do something a little different than my usual go-to of Joy of Cooking’s banana bread. 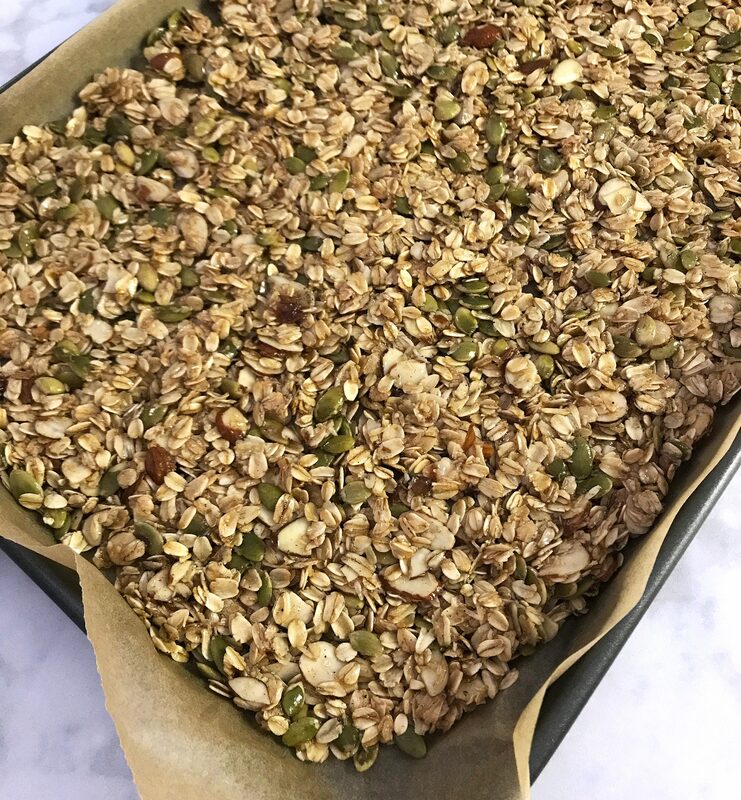 I wanted to use oats because it feels more like a healthy breakfast treat. It may not be true, but I can pretend, right? I also wanted to make them chocolate, since I’ve been seeing chocolate banana bread everywhere and just had to make some myself. But not chocolate chip chocolate, I mean good cocoa powder chocolate. Unsweetened, dark, delicious. As always, I found a recipe to use as a starting point. In this case, it was a chocolate oat banana bread from Jenna at A Savory Feast (the link to her recipe is here). So simple (which by now you should know is right up my alley), and looked so tasty. I added some almond meal because I wanted the extra flavor, used brown sugar because it added depth and a molasses quality, and some lemon zest and cardamom because they’re some of my favorites, and a: banana bread requires lemon and b: chocolate and oats both are made better with a hint of cardamom. They’re even quick enough that I can (technically) make them in the morning before work. Seriously, like 10 minutes of work, then into the oven for 20-25 minutes, and that’s it. 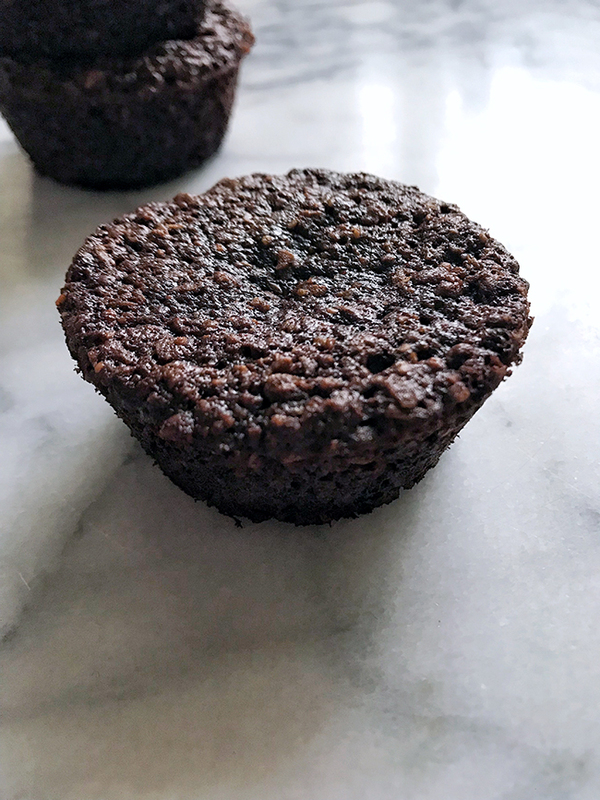 I’ve made these twice now, because the first batch was ridiculously good but I wanted to see if I could make a healthier version. The first round, my coworkers (AKA my usual taste testers) thought they were delicious, super light, and somehow felt simultaneously rich and healthy. Round two: also delicious, less sweet, and even more like a good breakfast choice. Kind of like Sunday brunch vs. week day morning. I honestly can’t say which I prefer, because both are so good, which means both versions are below. And bonus (for some people): they just happen to be gluten free (and the richer version is dairy free, too). 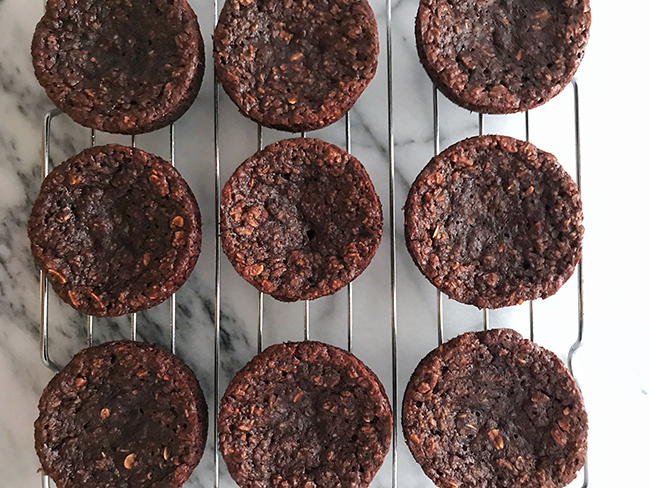 Chocolately, tasty, and surprisingly light, these are perfect for breakfast or a snack. Try them topped with butter, peanut butter, raspberry jam, or a dollop of yogurt (or even whipped cream?). Step 1 Heat the oven to 375. Prepare a muffin tin by thoroughly oiling the cups or using liners (I always use vegetable oil, no liners). Step 2 Put the oats in a food processor and grind into a loose flour. The finer you grind it, the denser the muffins will be. I prefer it to be a good mix of very fine and mostly whole oats. Step 3 Combine all the dry ingredients in a large bowl. Step 4 Mash the bananas in a second bowl until smooth. Add the egg, oil, vanilla, and lemon zest. Stir until well combined. Step 5 Pour the liquids into the dry ingredients, and stir until thoroughly mixed. Step 6 Fill the muffin tins about 2/3 full. Step 7 Cook for 20-25 minutes, until a toothpick or knife comes out clean. Step 8 Cool for at least 5 minutes before removing from the tin. Step 2 Put the oats in a food processor and grind into a loose flour. The finer you grind it, the denser the muffins will be. I prefer it to be a good mix of very fine and mostly whole oats. 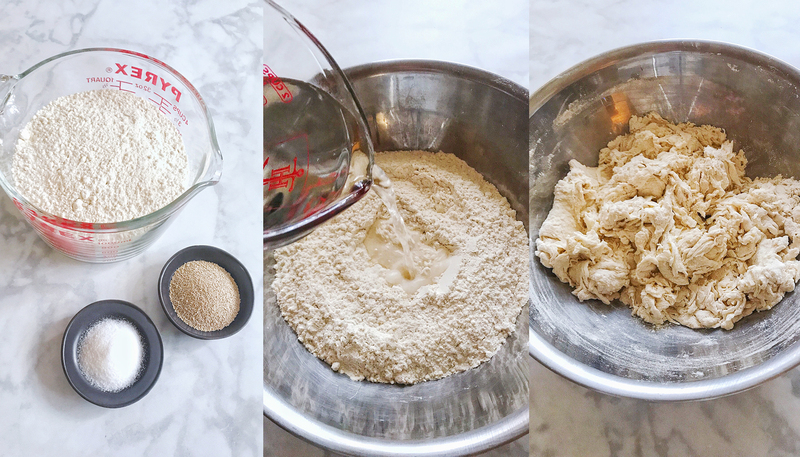 Use enough old fashioned oats to end up with 1C oat flour. Step 4 Mash the bananas in a second bowl until smooth. Add the egg, yogurt, vanilla, and lemon zest. Stir until well combined. I said in an earlier post that I might be really bad at consistency. Clearly, I’ve been true to my word. I’m often most consistent at BEING inconsistent. Sorry! It’s been two months since I last posted anything, and I apologize for that. I could give all sorts of excuses about being overwhelmed with work (it was the holidays, my day job is in retail, it gets stressful/exhausting for a couple months there), feeling like I didn’t have enough time, etc. Mostly, to be honest, while I really did feel drained and like I didn’t have time, the biggest thing is that I wasn’t feeling at all inspired. It’s the holidays, and this is a food blog. It really should have been a big time for me to be even more productive, but I really just didn’t feel like I had it in me for the last couple months. I can only promise that I will try to be better about that in the future! On that note, how is January half over already?! Boston has had some crazy weather these last couple weeks, just like most of the rest of the country. I don’t know about anyone else, but a 90 degree swing between hot and cold is a little disorienting. The upside, as much as I do love the look of an actually white winter, is that the sidewalks are far easier to negotiate without the snowbanks. It’s mostly been cold, or at least cold enough, that I still crave those delicious and cozy winter foods like beef stew, a hearty curry, or a creamy pasta. To be fair, I want pasta all the time. Well, carbs in general. Pasta, potatoes (I’m mostly Irish, how could I not love potatoes), and bread. Alllll the bread. If I could live on fresh bread and still feel good, I absolutely would. It’s my biggest guilty pleasure (remember the episode of Friends where Monica wants to live in a house of cheese? I’d want a house of bread. Except I’d just eat the whole house, and then I’d be homeless, so it would need to be a magically self-rebuilding house.) Add some cheese (and/or butter), and I’m a very happy girl. The only thing I’d be missing is lemon. 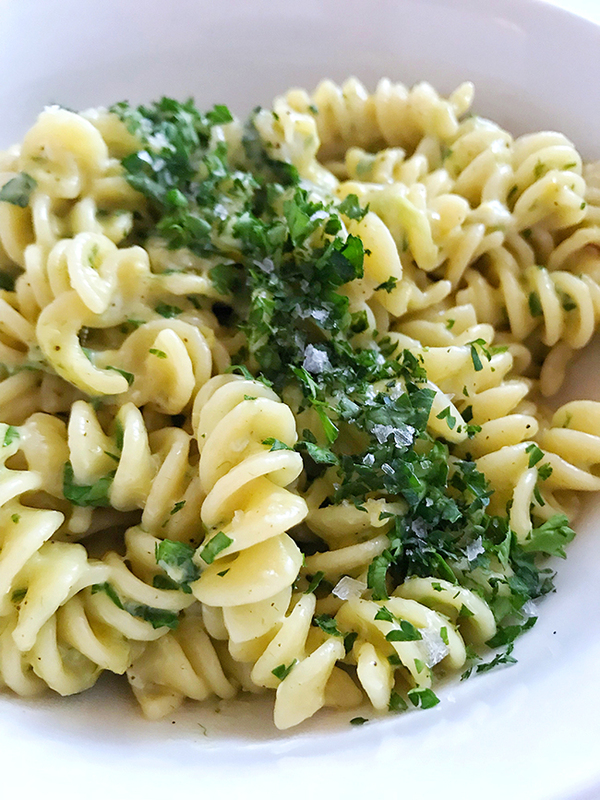 So this pasta, which is pretty much a go-to for me, satisfies the carb cravings, and the cheese cravings, can be as lemony as I want, and is seriously adaptable. I love to add peas, sautéed mushrooms, and handfuls of fresh arugula, but it would be fab with really any veggies you might want. Tomatoes would be delicious, and make the whole dish feel lighter and brighter. 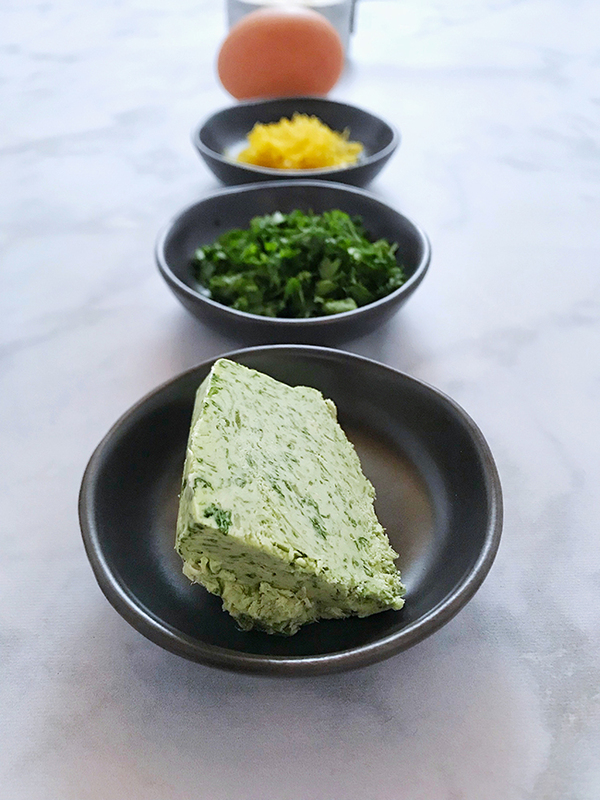 Change the herbs and add other cheeses (or change the parmesan for another hard but melty one) to better fit your veggies and tastes, or to make it more complex. If you know me (or really my food) at all, you know I love simple but delicious, and this definitely fits the bill. 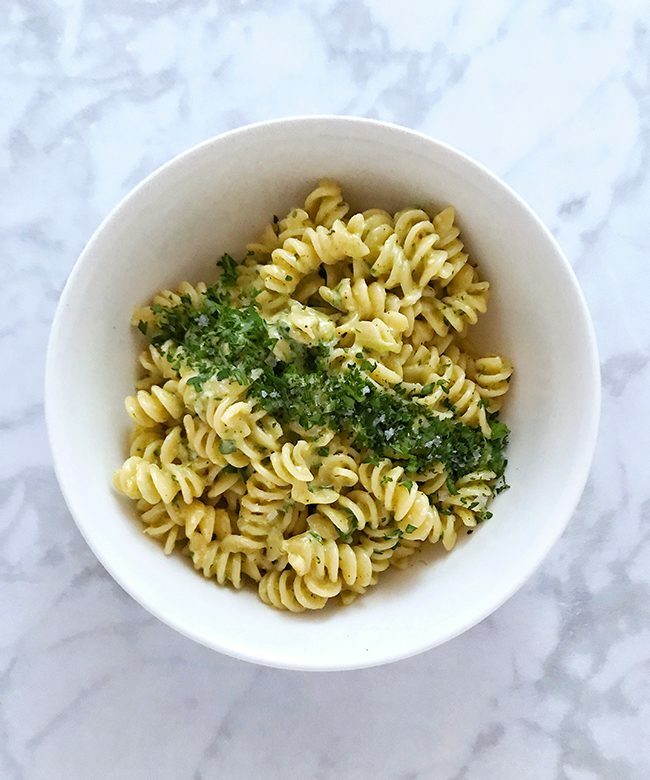 One of the best parts of this dish: it’s cheap, oh so satisfying, and most of the ingredients are always in my pantry or fridge anyway. I had honestly never thought to use egg as a binder to make creamy pasta until I found Alex Delany’s ‘Sad Boy Pasta’. Now, like I said, this is my go-to. I also freely admit that I sometimes mess up, and don’t leave the pasta wet enough/add the egg too quickly without stirring or having something else in the pot, and I end up with something sort of maybe kind of like slightly scrambled eggs stirred into the pasta and cheese. It’s still delicious, it just looks funky. One thing I’ve realized making this (many many times) is that while you don’t want to drain the pasta to the point where it’s more or less dry, you also don’t want to leave water in the pot. The sauce won’t be creamy so much as watery if you do. The butter is also optional, but I find that it helps with the creaminess. Honestly, there’s nothing not to love about this dish. You can change it to be exactly what you want, and it will pretty much always be there for you. What could be better? 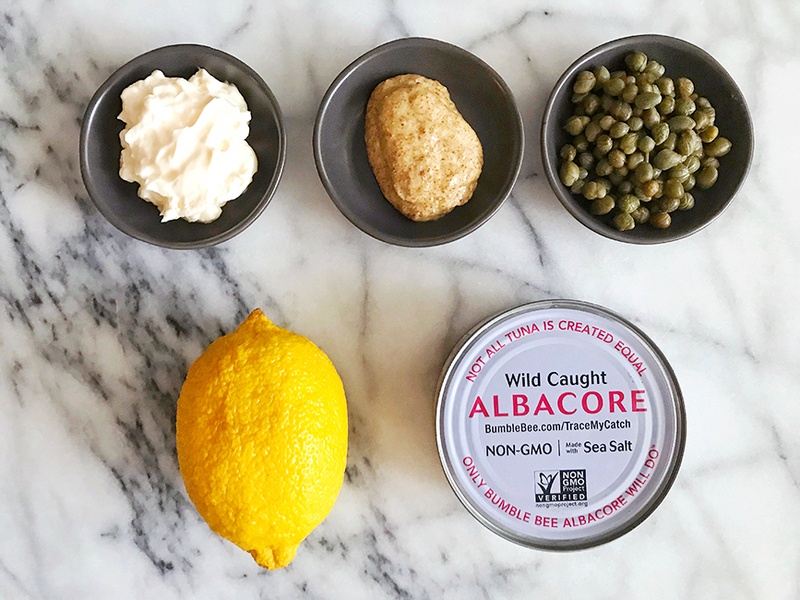 So delicious, so simple, and easily changed to whatever you either want or have on hand. Step 1 Boil a pot of water, heavily salted. I do mean heavily, like a good 2-3 teaspoons. Step 2 Cook pasta until al dente. *If you’re adding frozen peas, add the to the pasta about 30-60 seconds before it’s ready to drain. Step 3 Before draining, take a tablespoon of the pasta water and mix it in with the egg. Step 4 Drain the pasta, being sure not to drain all the water. Return the pasta to the pot. Step 5 Add the parmesan, then the egg (I find it’s best in this order), stir, and then add the remaining ingredients. Add salt and pepper to taste, and crushed red pepper if wanted. Does anyone else feel like the last couple months have just flown by?? I can’t believe it’s already Thanksgiving, I swear I meant to post a new recipe well before now! Somehow the last 6 weeks or so have just gone by in the blink of an eye, and October seems to have gone by without a trace. I think I have three posts somewhat started, all of which will eventually show up. Hopefully sooner than later, too. And I promise they’ll be delicious: carrot ginger soup, cauliflower chickpea curry, and mustard rosemary chicken. For now, though, I’ll start with this one: homemade pizza, with my (really my dad’s) cheat to have it rise quickly. Quick side note about the title of this one…I fall asleep on the couch while we’re watching tv all the time. When the bf and I started dating, I would often wake up mid sentence (or full on conversation), so I was convinced I was awake for the whole thing but only actually became aware of it halfway through. He was always so confused, and used to get so frustrated with me because he didn’t realize I was asleep. And then he found out I actually talk in my sleep sometimes. I sat up in the middle of the night, and said ‘pizza, pizza, I’m hungry!’ before tossing myself back down and sleeping quietly again. So now, it’s one of those inside jokes that we say to each other regularly, and it makes us giggle every time. Anyway. Back to the food. This is the pizza I grew up eating. It’s Gemelli Pizza Margherita from Maggie Glezer’s ‘Artisan Baking Across America‘. Almost every week, we got to enjoy this fabulously crusty dough, with deliciously puffy crusts, topped with all kinds of goodness. This is not your thin crust, crunchy style pizza. I love that too, don’t get me wrong, but when I make it from scratch, this is what I want. As I got older, I became the pizza girl, and it was often my task to make the dough for dinner. When I can, I actually follow the recipe, which calls for 6 hours of rest time. 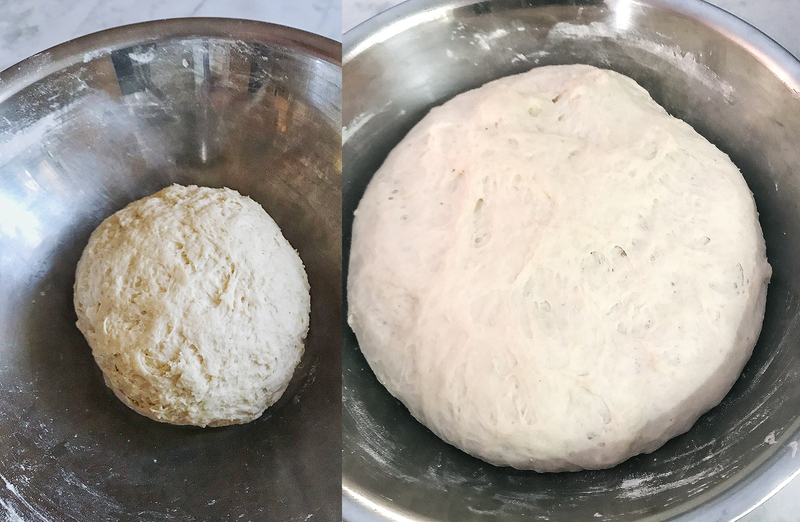 That said, I’m lazy and don’t plan ahead all that well, which means I usually don’t end up with the option of waiting 6 hours for dough to rise if I want to eat dinner at a rational hour. So instead, this is my hack, as learned from dad. And I promise you it’s delicious! The original is delicious, and I’ll note the differences below. But to be honest, why am I going to take 6 hours to make something that I can have delicious in 2? And yes, it’s lazy and impatient of me, but really it’s mostly that I’m rarely on top of things enough to have planned ahead. Or I’m trying to make dinner after getting home for the day, and at that point 6 hours is far too long to wait! Now in terms of toppings, everyone has their own preferences. My dad always made a super tasty tomato sauce full of garlic, spices, etc. My version, though, is very simple. I like to use crushed tomatoes (a canned version works just fine! ), and then top that with herbs, salt, and pepper before adding the cheese and other toppings. 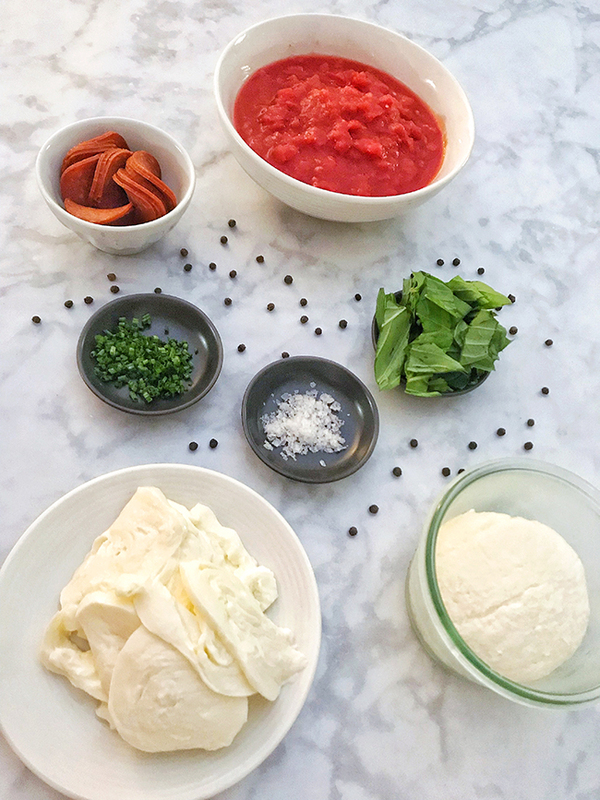 This shortened version of Maggie Glezer's 'Gemelli Pizza Margherita' recipe makes for a delicious, doughy crust that's easy enough for a (late) weeknight dinner, and flavorful enough to seem like you put a lot more effort into it! Step 1 Combine the flour, yeast, and salt in a large bowl. Step 2 Add the water, and mix until it forms a shaggy dough. Step 3 Knead until just blended but not too smooth, not adding extra flour. Step 4 Cover and let sit for 10-15 minutes. Step 5 Knead for 5-10 minutes until fairly smooth. Step 6 Shape into a tight ball, cover tightly, and let rest/rise for about 2 hours. It should be soft and puffy, but still springy. Tip: leave it somewhere warm, like inside the oven with the light on, or in my case on top of the stove that’s always slightly warm because it’s a gas oven. Step 7 When the dough is ready, turn the oven on as high as it can go. 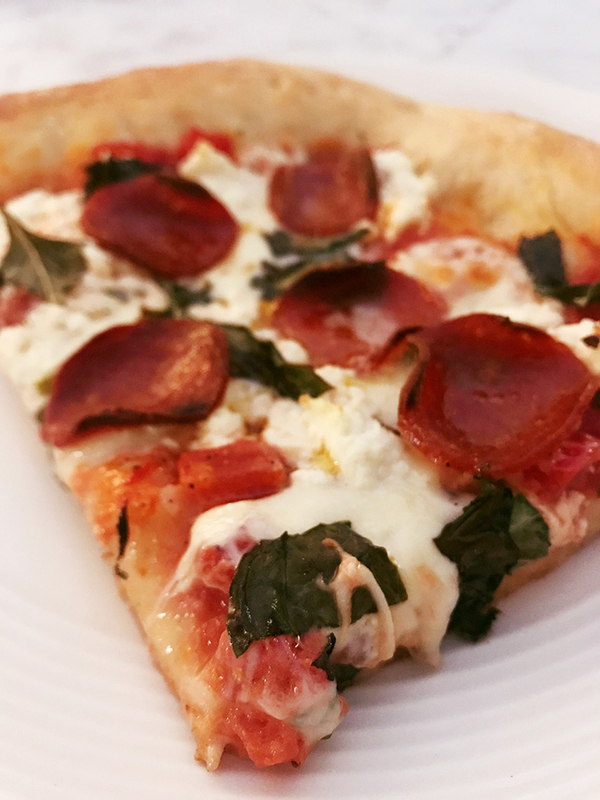 I use a flat baking tray with parchment paper, so that I can slide the pizza off the tray onto the oven rack halfway through, and get a good bottom crust. A standard baking sheet works just as well. Sprinkle the baking sheet (or parchment paper) with cornmeal. Step 8 Shape the dough, without letting it get too thin in the middle. 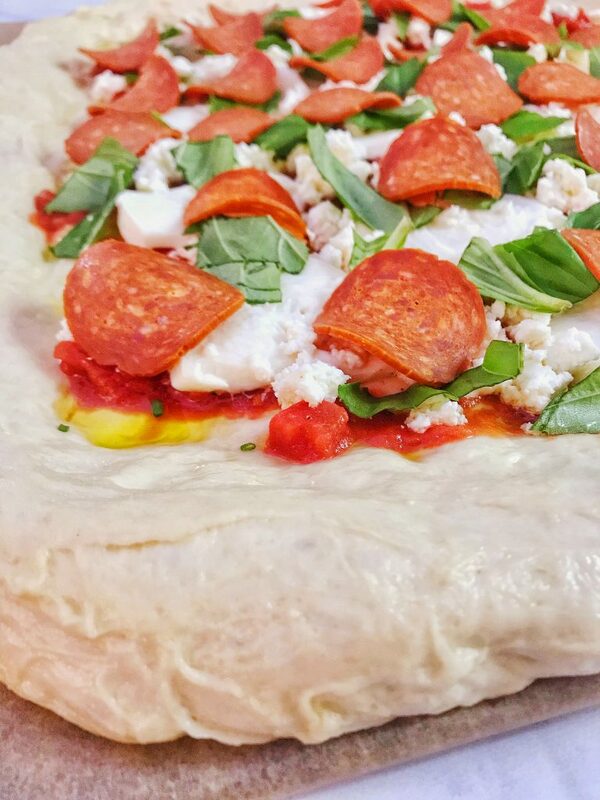 Using your fingers or the outer edge of your hand, lightly press around the outer edges of the dough, to make a line between the crust and the center where the toppings will be. Step 9 Drizzle with olive oil, top with sauce (my version: crushed tomatoes, not a cooked sauce. I like the brighter flavor), add salt, pepper, and spices. I like to add chopped chives, oregano, and thyme. If you’re not me and can actually eat garlic, add chopped garlic too! Step 10 Add cheese, fresh basil, pepperoni, whatever other toppings you prefer. Step 11 Bake for about 20 minutes, until the crust is golden brown, the cheese is melty and bubbly. If you’re going to transfer the pizza to the oven rack, do so about 10-15 minutes in. Step 12 Let it sit for a minute once removed from the oven, slice, and serve. *The original recipe calls for only 1/4t of yeast, and 5-6 hours of rise. If it’s a weekend and I think of it in time, I will make it that way, but like I said, I’m not usually that on top of things to make dough that far in advance! Someone tried to break into our apartment two nights ago. To be honest, I don’t know how they’d actually have gotten through the window they were trying to open, considering it was only cracked and there’s a stove, island, and tons of stuff on the window sill all in the way, but it’s still scary. Thank god the bf is a night owl, and he was still awake. He was watching tv with headphones on, heard a noise, and when he went to check it out there was a guy standing right at our kitchen window trying to open the screen. If he hadn’t been awake, or hadn’t been home, I would have woken up with a stranger in the apartment. When the bf asked he was doing, the guy told him he was just ‘hanging out’ and proceeded to get defensive and start swearing at the bf when he told him to go away. I’m sorry, but you don’t have any right to get pissed off when you’re told NOT TO BREAK IN TO MY HOUSE! So we had the cops come by at 2am, they took a statement because from 2 feet away the bf clearly had a pretty good look at the guy, and now they’re going to be doing some extra patrolling behind our building for the next few nights. I don’t think he’s going to be back any time soon, but I hate that now I don’t feel safe having the windows open even while I’m home. At least not at the moment. I always sleep with them open, but won’t be doing that for a while. This is when I really wish we had a pet. I just might ask our friend in the building if I can borrow theirs! This is the first time this has happened in the 8 or so years the bf has lived in this apartment, so in general it’s a very safe place, and I’m angry that someone had to go ruin that sense of security for me. According to the cops, there’s a rise in this every year around now, because it’s when all the students come back and new people move into the area. This guy wasn’t a student, but being in a college town with typical leases starting September 1, it’s a lot of new people moving in all at roughly the same time. Plus, I wouldn’t be surprised if the new people (some of whom may not be used to being in the city or who forget that we’re actually still in the city even as far from downtown as we are) combined with it being end of summer/early fall meaning lots of open windows is just too inviting a combination fore some people. Still. Screw you for making me nervous in my own home. Anyway. Being a bit freaked out led me to be wanting comforting things. Like food. Who doesn’t want comfort food? Plus it’s fall. Even if it’s been sunny and high 80s (or higher) with 95% humidity in New England at the end of September, it’s still now fall. I may not be a pumpkin spice girl, but I still crave fall flavors once the seasons change and it (in theory) starts getting cooler. I have yogurt with granola almost every morning, and my go-to is Bola granola. It’s delicious, light, and doesn’t have much extra stuff to it. It’s just straightforward real ingredients, plus it’s made in the Berkshires in western Mass, and how can I not love a local, woman run company that makes me yummy things to eat? But that being said, I’ve been waiting for the cooler weather to make this granola recipe inspired by my aunt. She came for Christmas a few years ago, and being as food oriented as all of us Millers are, she brought us each a fabulous chocolate ganache sauce and homemade granola. It was the best chocolate sauce I’ve ever had, and I still drool about the granola when I think about it. So, even though it’s been so hot and humid recently that our sheets literally feel like they never made it into the dryer before being put on the bed, I made a batch of it yesterday to satisfy all my fall comfort cravings. It may not be magical enough to immediately restore my sense of security, but I will gladly eat through the whole batch to test it’s potential power. My aunt’s recipe is more of an outline, with suggestions of a couple measurements and that’s it. She makes it enough that she can eyeball the proportions, so when we coaxed the recipe out of her bit was just a rough idea. It’s how I cook too, as taught by my dad. It takes me longer to make any of the recipes I post because I’m actually measuring as I go just to make sure I have numbers to write down! Take that to mean that while I’m going to list measurements, feel free to adjust or change as you want. This is just the way that I like it, and it’s pretty damn delicious, but I will admit it’s not the only way. 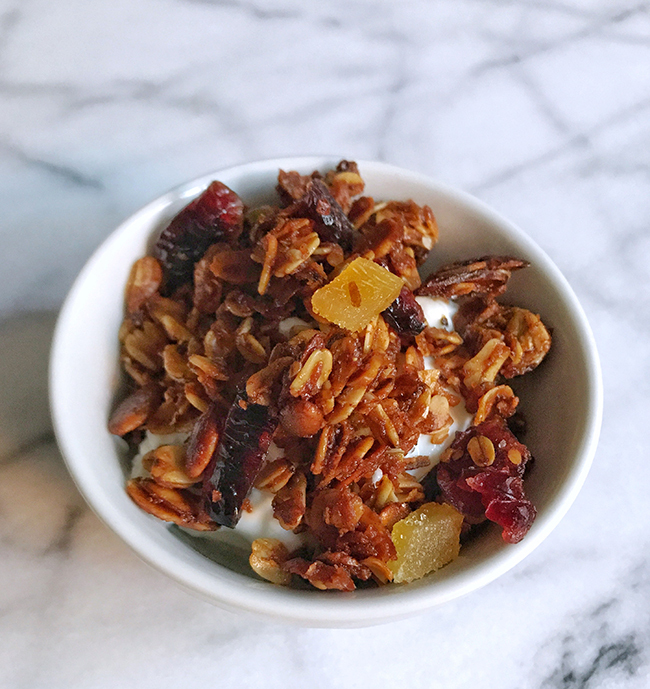 A delicious fall-flavored granola, perfect on yogurt or even ice cream. It's wonderful as written, but easy to adjust to suit your tastes! Try different oils, nuts, spices, or fruits. There are endless possibilities. Step 1 Warm the oil, syrup, and spices in a small pan. 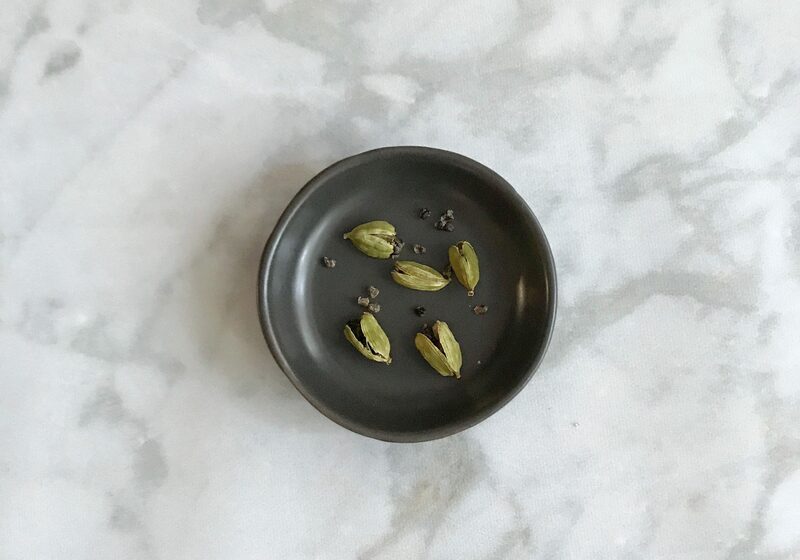 If using cardamom pods, crush them first to open them up. Step 2 Combine the oats, pumpkin seeds, almonds, and coconut in a large bowl. Step 3 Stir in the oil/syrup mixture, straining it if you used cardamom pods. Mix together until it’s combined. 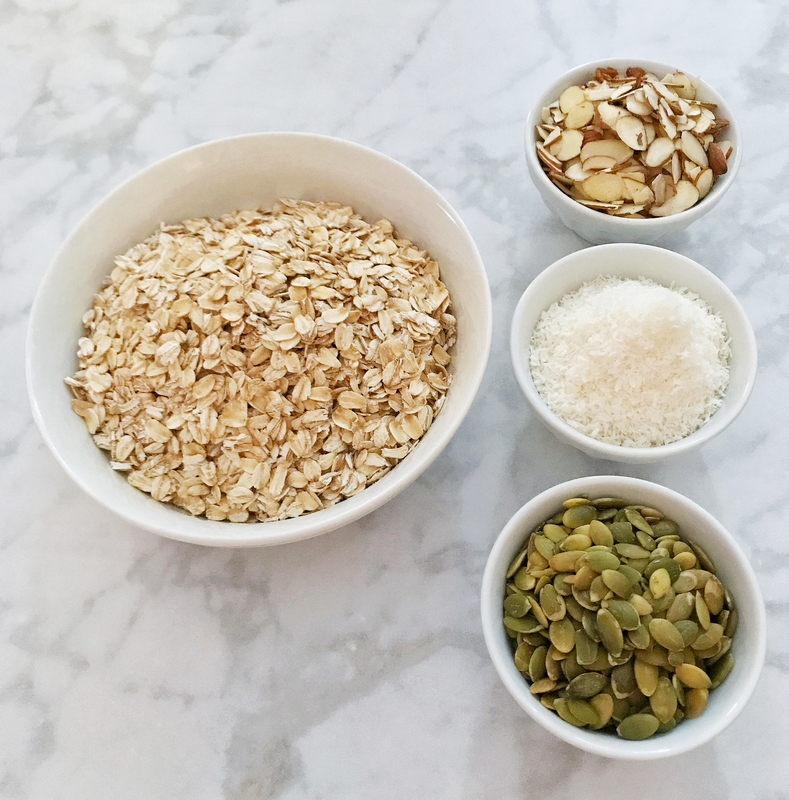 You don’t want to soak the oats, so add the wet ingredients in two or three parts to coat well each time. Step 4 Bake at 300 until golden brown, stirring occasionally. This will take roughly an hour, but remember that it will continue to bake a bit longer once you pull it out of the oven so you don’t want to let it get too dark. Step 5 Let cool, then add in the cranberries and chopped ginger. Step 6 Store in an airtight container. My boyfriend and his friends have had a fantasy football league going for at least 10 years now, in some form or another. It’s always the Saturday after the first Thursday game, and the weekend is essentially sacred. I mean seriously, try to even remotely ask any of them to do something else that weekend and they will laugh in your face for asking such a ridiculous question. Not being a football fan, I don’t really get it, but it’s also the only time of year they see a few of the guys. The last few years, we’ve gone as a group up to Rockport or Gloucester, rented a house for the weekend, and enjoyed getting the time out of Boston.The draft itself is just Saturday, but since they don’t give time limits to picks, it can take all day. Literally, last year it took over 12 hours. I think they ended around 3 am, I went to bed way before that. As we’ve all gotten a bit older, and there’s now a 2.5 year old in the mix for one of them, the girls have more or less dropped out, and this year we’ve even been banned. The guys are going to Vermont for the weekend, and none of them can even remotely wait for a boys weekend. It’s going to be a mess, with a ton of meat, and I’m more than happy to leave them to it! The point of all that is to say that when the bf got home Wednesday night (which was my day off), he took over the kitchen to make Korean short ribs and Thai honey-lime wings to take to their draft weekend, which started Thursday. 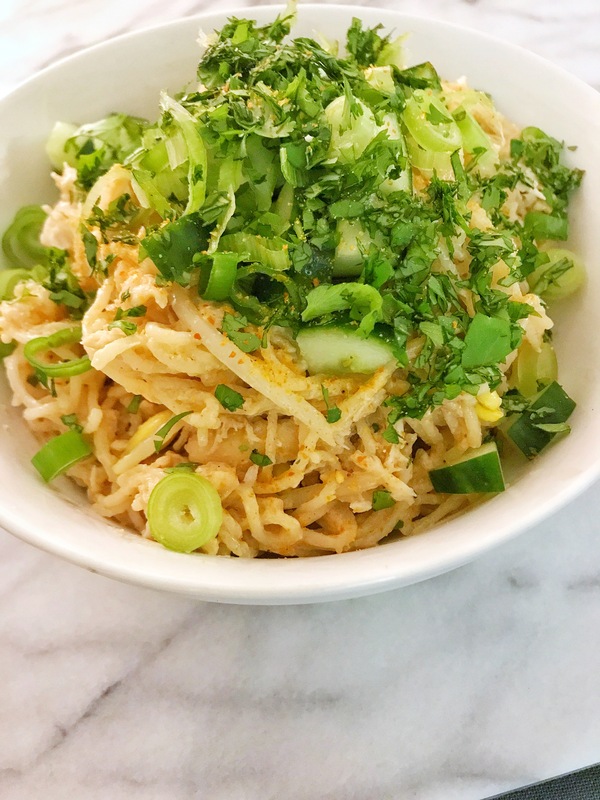 Since I can’t exactly make dinner while he’s cooking (our kitchen is super tiny), I decided to make one of my favorite cold summer dishes from growing up: peanut sesame noodles. Dad used to make it all the time, and while I’ve helped with it at home, I’ve never actually made it on my own before today. I didn’t completely follow Dad’s recipe, mostly because I didn’t feel like cooking chicken today and the precooked ones at Whole Foods are pretty delicious already. It’s grey and wet outside, I’m happy to feed into my laziness this afternoon. Obviously this is great when you cook the chicken yourself, too, but today I’m all about enjoying my lazy side. I also used togarashi and black pepper, which work very well, but I was also being lazy again, because really I just didn’t feel like buying white pepper or chili oil. My spice shelf is running out of space, and I already had the other two on hand. My general philosophy on food, though, is that there’s almost no recipe that can’t handle substitutions. To quote one of my dad’s favorite lines, “they’re more like guidelines, anyway”. While good when the noodles are warm, this is best chilled. Perfect for a picnic, or a hot summer evening. Step 1 To make the sauce, combine the 8 ingredients in a bowl, and set aside. Step 2 Cook the noodles al dente, drain, and mix with the peanut oil, 1T of the sesame oil, and a pinch of pepper. Step 3 Parboil the sprouts (30 seconds), drain, and rinse in cold water. Drain again. Step 4 Slice or shred the chicken, and mix with 2t sesame oil. Step 5 Combine the noodles, chicken, sprouts, sauce, and most of the cucumber, and mix thoroughly. Step 6 Chill, if you have time. This can be made a day in advance. Step 7 Serve topped with the remaining cucumber, scallions, cilantro, and chopped peanuts. This won’t be a long post, I’m just too excited by how adorable these are! 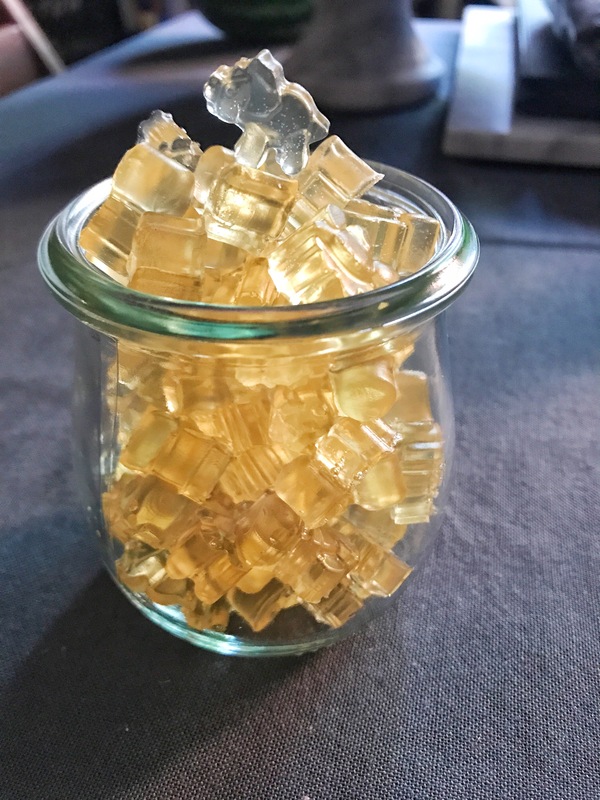 I keep coming across homemade gummy bears online, and finally decided to try them myself. 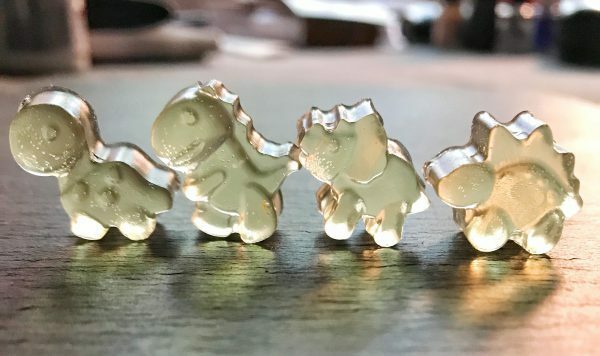 When I told the bf I wanted to try them, he said there must be fun alternatives to bears in terms of molds, and I found the cutest dinosaur shaped one on Amazon (you can find it here). And it comes with a dropper to make it easier to fill in all the little dinos. One recipe I found said to slowly sprinkle the gelatin powder into the heated liquid a bit at a time to ensure it blends in smoothly. Most others said to mix the powder with liquid first, and then add that mixture to the heated part. I did sort of a combination, but honestly I mostly did the latter, because I felt too lazy and excited to take the time to do the former. Of course, considering I didn’t initially add enough liquid, I actually made more work for myself because it made this thick mass that was like drying rubber cement, that I could barely get out from inside the whisk. I basically had to cut it out and slowly add more liquid to it until I could smooth out most of the lumps. I would suggest NOT making the same obvious mistake, and next time I won’t either! This flavor of these can of course be easily adapted, just change the type of liquid to whatever flavors you might want to try. I might (just maybe) be making a second batch tonight, this time coffee flavored, with a bit of vanilla. Mmmm mmm! How can you not love something so adorable? These can be adapted to whatever flavor you'd like, and are a quick, tasty treat that looks far more impressive and time-consuming than it really is. Step 1 Heat 1C of the St. Germain with the lemon strips over low heat. Step 2 In a small bowl, mix the gelatin powder with remaining 1/4C St. Germain and the 2T water, making sure there are no lumps. Step 3 Slowly add the gelatin mix into the pot of St. Germain, making sure to whisk together completely. It will look cloudy when the gelatin gets added, but keep stirring until it’s clear again and any new lumps are gone. Step 4 Let cool a bit until it’s room temperature, then carefully fill the molds. Try not to spill around the molds, just because they’re messier when you remove them. Purely aesthetic, they’re work just fine either way. Step 5 Chill in the fridge for about 30 minutes. Step 6 Store in a closed container so they don’t dry out, and enjoy! One thing I know very well about myself…I’m usually very lazy, and have trouble finishing things. I swear, most of my knitting projects (because I knit too, as well as sew) sit unfinished and still on the needles for years before they might just maybe get finished. Honestly, it’s something I get ridiculously frustrated with myself over, and while I wish I could change….surprise surprise, I’m too lazy to make the effort most of the time! And on that note, I’m going to just put out a blanket apology right now for the occasional long gaps between posts. I can pretty much promise they’ll happen every once in a while, but I can also promise that I will try to make to make sure they don’t happen too often. This recipe was a bit of an experiment, and one done with high hopes of it turning out delicious. Thankfully I was so so right….it’s fantastic. I was inspired by two recipes: ‘Cardamom Poached Apricots’ from The Broken Bread, and ‘Fresh Peach Sorbet’ from Making Thyme for Health. 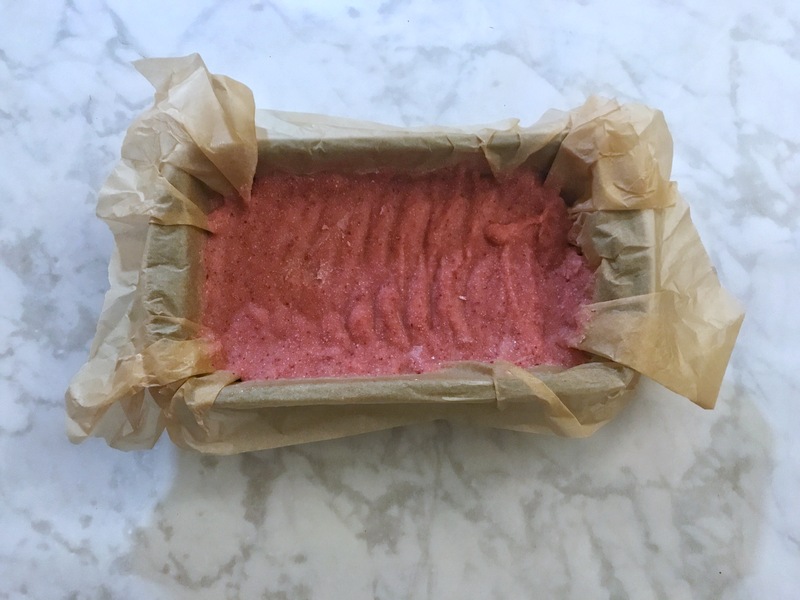 I hadn’t thought about making any sort for frozen treat like this without having an ice cream maker, so when I stumbled on Sarah’s recipe at for a no-churn version using almond coconut milk, I thought it a great time to test it out. My boss at work had given me a bunch of fresh peaches that she’d picked with her kids, so it was really the perfect summer treat to use them up. I recently made Kristan’s poached apricots, which were amazing, so the idea of adding cardamom to the peaches seemed like it would be a great flavor combination: a bit of sweet, a bit of spice, and add a bit of lemon zest to brighten everything brilliantly. 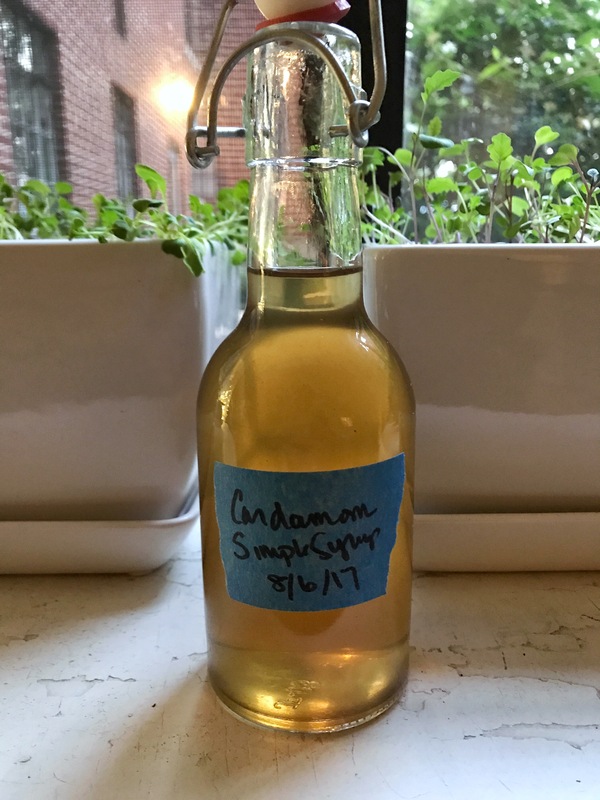 About a week ago, I decided to make a sage simple syrup, because I have a very rapidly growing sage plant in my garden and I don’t want to let it go to waste! It’s such an easy thing to make, and somehow something I’d never done before. Of course, I made an extra large batch and now have a mason jar full in my freezer, as well as they one in the fridge. When I decided to make the peach sorbet, and realized I wanted to use cardamom in it, I figured what better than to also make a cardamom simple syrup? 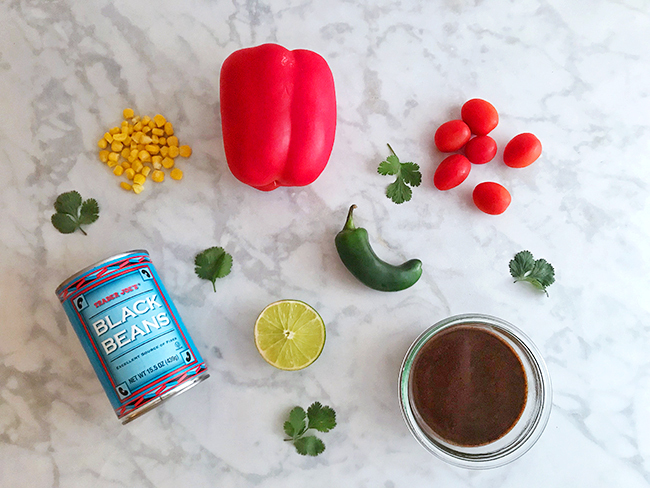 A wonderfully delicate flavor in an uncomplicated recipe, what could be better? I love recipes that use minimal ingredients for incredible flavor, and this sorbet is one of those: fresh peaches (frozen first, preferably done day of, but store bought would work in a pinch), coconut milk, lemon zest, and the cardamom syrup. 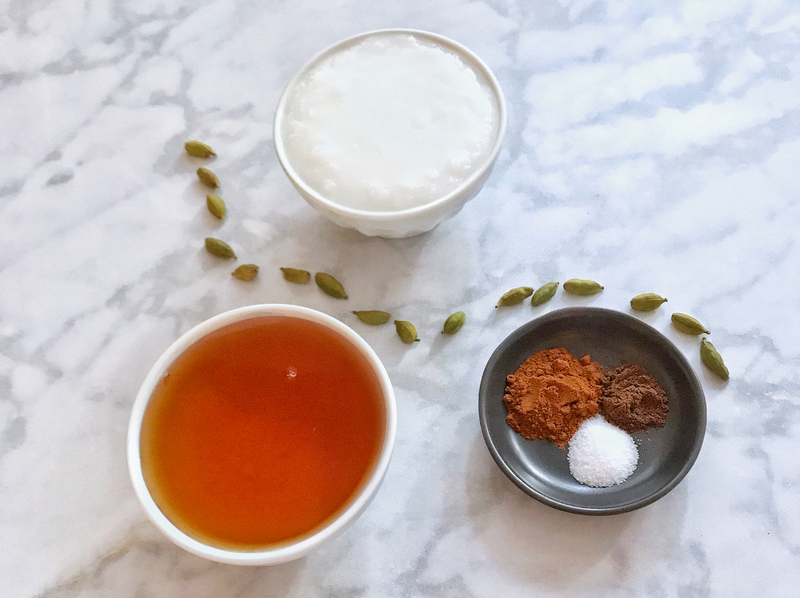 The syrup can be made even a few days ahead of time, but if you decide to make it the same day as the sorbet, be sure you give yourself at least an hour and half so that the cardamom can steep long enough in the sugar water and then cool to room temperature. While you might be able to make this using ground cardamom, it most likely won’t strain well and you’ll have the grains in the syrup. Definitely use pods instead (the ones I use are from Swad), and crush them with the side of a knife like you would garlic. 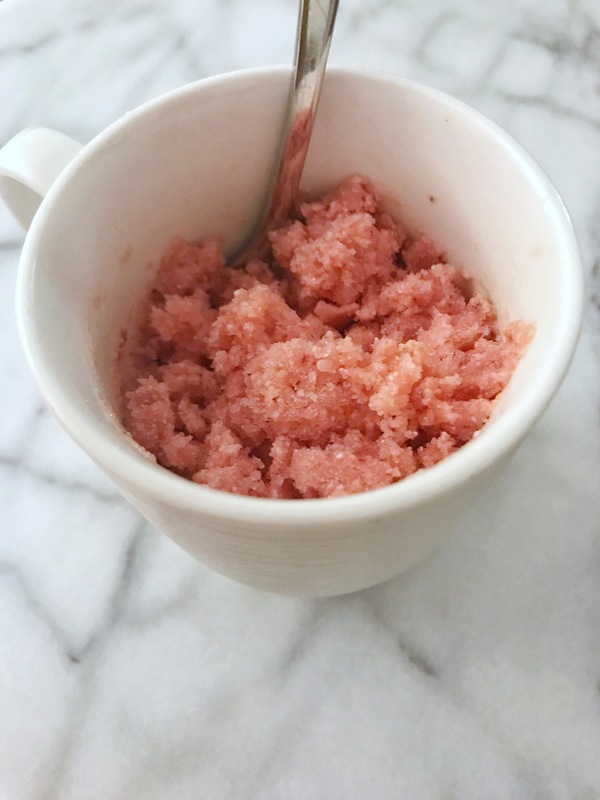 You only need a few tablespoons for the sorbet, but I can promise that the syrup is so wonderful that you’ll be more than glad to have the rest of it ready in your fridge. It’s fantastic in coffee, by the way, especially iced coffee. Bright, fresh, and with a hint of spice, this sorbet is summer in a bowl. Step 1 First things first: freeze the peaches. Give the cubes as much space as your freezer will allow, they’ll freeze more evenly and be easier to dump in a blender later! Allow to freeze thoroughly, for 3-4 hours. Step 2 Make the syrup. Combine the water and sugar in a saucepan, and bring to a boil, stirring to be sure the sugar doesn’t stick to the bottom of the pan. Step 3 Lower the heat a little bit, and add the crushed cardamom pods. Simmer for 10-15 minutes. Step 4 Remove from the heat, and let the cardamom steep in the sugar water for 30-60 minutes. Stir it occasionally, and certainly taste it. The flavor will continue to get a bit more intense , so if you’re happy after the 30 minutes then you’re just about done. Step 5 Strain the syrup into a jar (I prefer glass), and let sit until cooled to room temperature before you close it. Step 6 Once the peaches are frozen and the syrup is ready, place the four sorbet ingredients in a blender and blend until smooth. Taste, and adjust if necessary. Step 7 Pour into a freezer-safe container to set, I used a metal bread pan lined with parchment paper. Place in the freezer for 4-6 hours, or overnight, until thoroughly chilled. Family taught, from coastal Maine, a constant work in progress. I'm a home cook with a love of food, and hopefully it will continue to be something I can grow with for years.